Narrowing a year's crop of films to five picks is difficult and almost certain to leave out a bunch of excellent choices. After catching eight movies from 1984 during this marathon, I'm ready to put my cards on the table. This year offers a good mix of light-hearted entertainment and heavier fare, and neither will dominate this list. Looking at the 40 movies that I've seen, I struggled to determine which truly represented my favorites. There are lots of strong picks, but like they say in Highlander (sort of), there can be only five! Actually, there will be seven described below, but who's counting? Let's check out these picks! I can sense the angry replies even as I type this entry. This placement as an honorable mention is not a slam against Ivan Reitman's comedy classic, which I do enjoy a lot. 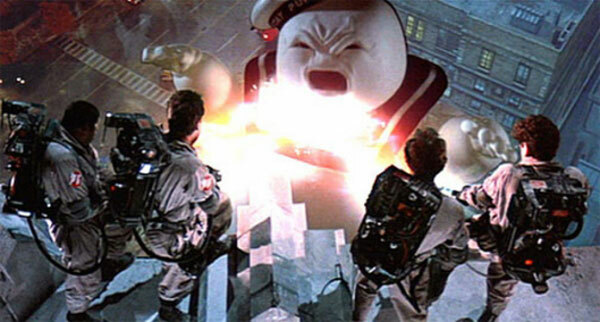 However, Ghostbusters falls just short for me because of the strength of the remaining picks. It has great scenes and dialogue but is inches away from the next few picks. I watched The Killing Fields for the first time during this marathon and was intrigued by its powerful story of journalists in Cambodia, especially Haing S. Ngor's Dith Pran. It's a historical epic that works because it brings a human connection to the devastating cleansing under Pol Pot's reign. Despite my cynical side pushing against it, I'll admit to my pure enjoyment of this underdog story. 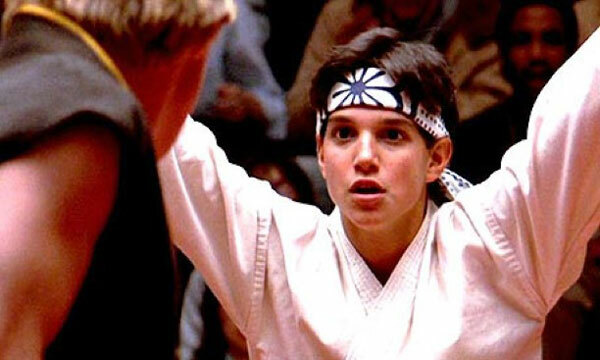 Even after repeat viewings, I'm still pulling for Daniel Larusso (Ralph Macchio) in the final tournament against the nasty Cobra Kai foes. The heart of the story is the father-son relationship between Mr. Miyagi (Pat Morita) and Daniel, and it amazingly overcomes the cliches. Unlike its sequels (especially the ridiculous Part III), the original works because Daniel's such a likable and believable guy. There are plenty of classic moments and great lines ("Get him a body bag! "), and the end result is a highly entertaining movie. Also, how can a movie with the ridiculously great "You're the Best" song in it not be a classic? I watched this 1984 Best Picture winner for the first time during this marathon, and I'm still thinking about F. Murray Abraham's chilling portrayal of Salieri. 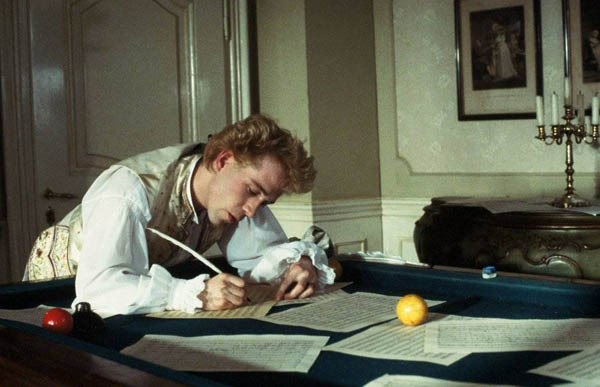 While Mozart (Tom Hulce) is the title character, the story is really about the jealousy from a composer who doesn't have the same talent. This raises the film to so much more than just your standard biopic and turns is into a morality play. Milos Foreman's grand direction brings the right scope to the epic film but doesn't lose the personal connections with the characters in the process. One of Wim Wenders' best films, this sad but captivating picture provides a stunning look at regret and its effects years later. Harry Dean Stanton is perfect in the lead role of Travis Henderson, a shell of a man who's discovered wandering in the desert with no clue about his identity. This deliberately paced story never drags while he slowly remembers his past life with his wife and son. It's the type of movie that sneaks up on you and becomes gripping by the time Travis reunites with his long-lost love. Sam Shepard's excellent screenplay avoids the melodramatic obstacles and remains unpredictable right to the end. This debut film from the Coen Brothers is a wonderful throwback to the film-noir genre without feeling like an imitator. The twist-filled story has many of the qualities that would make the directors household names in the future. There are some violent moments, but the true draw is their unique style and ability to surprise the audience. Also set in Texas like my previous choice, this movie stars Frances McDormand in an early role as a woman who might be cheating on her husband (John Getz). Dan Hedaya and the great M. Emmet Walsh shine in supporting roles in this unpredictable gem. 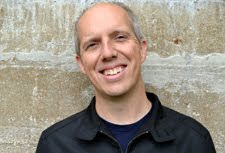 After including James Cameron's sci-fi classic as #1 in my Top 5 Time Travel Movies list, I'm thinking that I need to create a Filmspotting-like Pantheon of ineligible picks. Even considering the Oscar winners and many entertaining films released during 1984, this white-knuckle thriller remains my top choice. There are some hokey elements that don't hold up as well like Sarah's roommate and her boyfriend, but they disappear once the story gets rolling. Considering the budget limitations compared to the sequels, Cameron generates remarkable suspense from an intriguing set-up that continues to spawn new stories today. I'd love to hear your thoughts about this list below in the comments section. You should also check out the archive of past Top 5 Lists if you've missed them. There's a new one every Friday that relates to that week's posts. Next week, I'll begin my look at Steven Soderbergh with the period drama King of the Hill. Looks like an awesome list, Dan. Unfortunately, I have only seen Ghostbusters and The Terminator, both of which I have greatly enjoyed. I keep hearing excellent things about Paris, Texas, and I also want to check out Blood Simple as well. I really need to do some catching up on 80s films in general, actually. 1984 was a proper year huh? Great films there. I wouldn't be able to pick between them for my most favourite!! Eric - There are definitely some strong films from the '80s that you should check out. Along with the ones on this list that you haven't seen, Stranger Than Paradise is another good indie film from 1984. Scott - It was tough to pick the top list for sure. There were another five or so movies that nearly made it too. It wasn't easy! I only disagree with one, and it's one you predicted. I'd swap Ghostbusters and The Karate Kid. 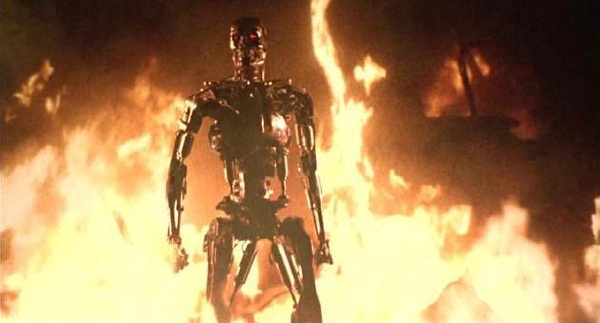 I just rewatched the first two Terminator films, and yeah--great pic. I had forgotten just how damn good that first film really is. It's hard to realize that the film is flat out great because it's also so geek cool. Steve, that's understandable about Ghostbusters; the line was very thin between them for me. I like your point about The Terminator. It's a movie that often gets relegated into the "geek cool" genre as you put it. While that is true, it also works really well as a thriller beyond the sci-fi parts of it. That's the main thing that's lost in T3 and Salvation for me. You know it must have been a good year when Amadeus shows up only at #4. Nice list, still need to see Paris, Texas and Blood Simple myself. Their placement on you list has me excited even more so than I already was. Thanks Adam! I almost had Amadeus lower, which says a lot about the year for sure. 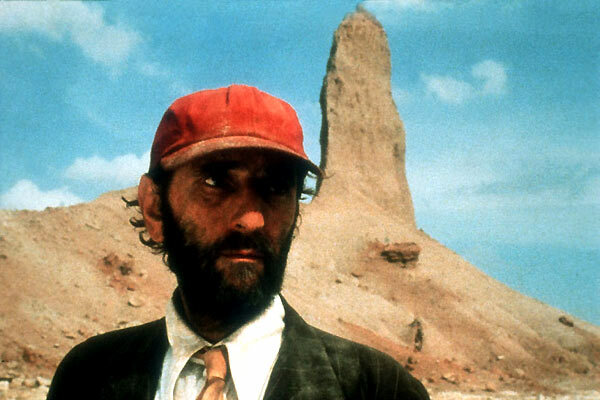 You should definitely check out Paris, Texas and Blood Simple. For completely different reasons, both are really interesting films. Nice list Dan, its tough to pick a top 5 of anything. I have never seen Paris Texas or Blood Simple. Just added them to my every expanding watch list. Thanks! You're right that Top 5 lists are tough, and this one was definitely one of the hardest since it was a whole year. Hopefully you're able to check out Paris, Texas and Blood Simple, though I'm right with you on having an very large watch list. I still have yet to see Paris, Texas. It's on my list. I am completely with you on The Karate Kid. If you want to see another great use of the song The Best Around check out the movie The King of Kong sometime. When the song started playing I laughed in appreciation. I own Paris, Texas. I believe I'm going to sit down and watch it today. Looking all over the place for Blood simple. Good list Dan. Thanks! I don't own Paris, Texas but have seen it a few times, and it gets better every time. It's definitely an underrated movie that a lot of people haven't seen. I didn't care for Paris, Texas until near the end. Then it hit me like a ton of bricks. An excellent film. Very minimalistic. Is it wrong that I don't think I've seen 'The Karate Kid'? Max, you're right that Paris, Texas is definitely a slow burn. I think that's why it worked even better on the second viewing. I don't think it's wrong if you've missed The Karate Kid. I look at it as great entertainment, but maybe not a "must see". Thanks! Thanks Castor! These lists are tricky, especially when you're comparing a historical epic like The Killing Fields to something like The Karate Kid. I'm good with my list, but I can't argue with you that it's a bit out there.